Bel Air is world-renowned for its association with wealth, prestige, and class. Discreetly tucked away in the foothills of the Santa Monica Mountains, the gated community of Bel Air offers privacy and security in an exclusive neighborhood full of verdant green spaces. Along with Beverly Hills and Holmby Hills, Bel Air forms part of Los Angeles’ Platinum Triangle. This incredibly upscale trio provide an unbeatable combination of calm seclusion with all the benefits of lying just a short distance from world-class cultural attractions of Los Angeles. If you live and work in LA, than living in the Platinum Triangle is the premium destination for making your home. Bel Air has long been a byword for high-status luxury living, with opulent mansions situated on sprawling estates. It is one of the world’s most iconic and desirable neighborhoods, offering luxury and sophistication at a level few places in the world come close to matching. Known throughout the world as an enviable place to live, tourists from all over the globe make their pilgrimage to see the decadent homes and lavish landscapes that make Bel Air so appealing. Bel Air’s stunning estates boast the finest in classical and contemporary architecture, with incredibly grand mansions situated on expansive lots. These secluded oases of opulence often span several acres, with heavy tree coverage providing privacy as covering luxurious facilities such as outdoor pools and tennis courts. Due to the careful eye for design and attention to detail, most of these homes will retain their value for decades to come. 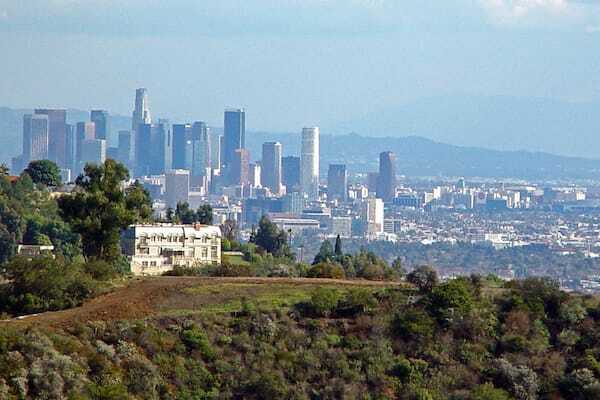 Many homes also offer stunning views across the Los Angeles basin. The median sales price of properties in Bel Air was $1,956,750 over the past year, with an average price per square foot of $747. Bel Air was founded by a farmer named, Alphonzo Bell. Bell was lucky enough to have accumulated wealth when his former property was located on an oil well. In 1922, the new oil millionaire bought 4500 acres that stretched from Sunset to Beverly Glen, and Sepulveda to Mulholland, for $2,500,000. 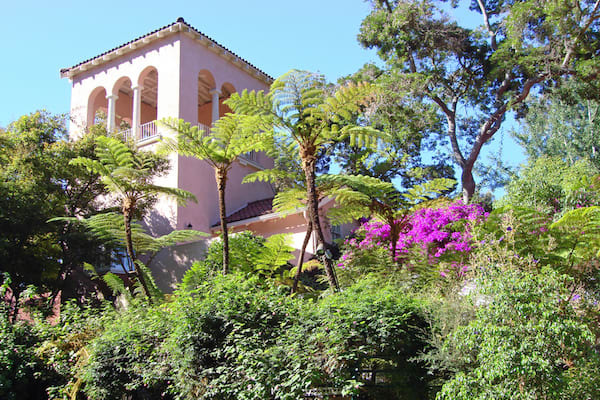 Bell named the area Bel Air, or “beautiful appearance.” Later, he subdivided the acreage into multiple lots. His family was responsible for the Bel Air Beach Club, the Bel Air Country Club, and the BelAir Garden Club. On October 15, 1922, Bel Air officially opened. Uniformed guards checked visitors in at the gate and escorted them into Bel Air upon request. Bell built a clubhouse, tennis courts and an 18-hole golf course in 1926. Then the depression hit and, for the first time, the real estate office was forced to sell to the movie people, something they never did before. Bell wanted nothing to do with them. By the 1930s though, Bel Air picked back up again. Today, Bel Air remains one of the most exclusive areas in Los Angeles, and it is well established throughout the real estate industry that Josh Flagg is a leader when it comes to selling Bel Air properties. Since starting out in real estate just over ten years ago, Josh has been, and continues to remain, one of the top producers in the coveted Platinum Triangle. Josh Flagg comes from a four-generation Los Angeles family. Josh and his antecedents have made copious charity contributions throughout various areas of Los Angeles, and Josh is both personally and professionally familiar with the people, properties and general lifestyle that are so unique to the Platinum Triangle. Anyone moving to the luxurious neighborhood of Bel Air, knows that education is paramount to the success of their children, and a good education is a top priority. Bel Air has five nearby schools which serve the local residents. Roscomare Road Elementary School, has received high reviews and is rated highly among other public schools in the Los Angeles Unified School District. Also within the Los Angeles Unified School District, is New West Charter Middle School, which is an excellent option. Beverly Hills Unified School District is closer to Bel Air and includes Beverly Hills Vista, Hawthorne, Beverly Hills High School, El Rodeo, Horace Mann, and Moreno Continuation High School. Bel Air’s luxurious homes have attracted major celebrities since the community’s founding in 1923, with some of the most notable past and present residents including billionaire entrepreneur Elon Musk, former President and First Lady Ronald and Nancy Reagan, countless Hollywood superstars including Elizabeth Taylor, Alfred Hitchcock, and Jennifer Aniston, and numerous sports stars and music icons, from Wilt Chamberlain and Joni Mitchell. The glamorous residents of Bel Air are well-served by the first-class amenities of the Bel Air Country Club, which includes tennis courts and an 18-hole golf course. The premier luxury facilities of the Hotel Bel-Air are another local attraction, with a fabulous spa and a lounge and restaurant serving food created by renowned chef Wolfgang Puck.